Did you know that half of American families live paycheck to paycheck? That number may seem astounding, but considering how high costs of living are nowadays and how wages don’t seem to be catching up with those costs, maybe it’s not so surprising that so many families live paycheck to paycheck and as many as 1 in 3 Americans have less than $500 saved up to cover emergency situations. It’s never been more important to separate your paycheck from your discretionary expenses because we never know whether our health insurance premiums might go up one year, our landlords could suddenly increase rent or any number of other scenarios where your non-discretionary expenses unexpectedly rise. “Follow a budget” seems like clear-cut, simple personal financial advice. However, it’s all too easy to accidentally blow your budget one month and be left with the stress of figuring out how to cover all your bills and regular expenses the following month. To prevent this from happening, it’s not enough to simply write up a budget and loosely follow it. Instead, it’s crucial to stay on top of your finances consistently, whether you need to buy a separate notebook to carry with you or download personal finance apps like Mint to help you maintain your long-term financial strategy and digitally track your finances every step of the way. A personal finance app would be particularly useful if it links to your credit cards and can track some of your spending for you. This allows you to see just how much you’re truly spending on both non-discretionary and discretionary expenses so you can later adjust your budget to accommodate your fixed paycheck income without risking financial instability. Psychological research has shown that visualizing your goals can increase your chances of achieving them. If you currently struggle with out-of-control spending on non-necessities – whether it’s dining out a little too often or attempting to stretch your budget for luxury purchases – then it’s time to stop digging yourself into the red and incrementally work towards savings goals by visualizing the things you want most but currently can’t afford. Visualization techniques can include a paper savings tracker chart with a photo of your dream vacation or new television pasted above it or even a tiny picture of the thing you want most in a prominent location in your wallet so you’ll see it every time you’re considering another purchase. It’s somewhat easier to restrain yourself from spending money when you’re reminded how a non-necessary purchase you’re about to make could delay your gratification even more, so don’t ignore the power of visualization techniques! A great way to free up your personal cash flow and make room for more discretionary spending without compromising your budget is by taking on a side hustle. This can be anything from driving for Lyft or Uber to selling your creative services on freelancing sites like Fiverr. Unless there’s a bonus on the horizon for you at your day job, your paycheck isn’t as likely to increase as your ongoing and spontaneous expenses are, so keep your paycheck separate from these expenses by taking on a side job to cover them. 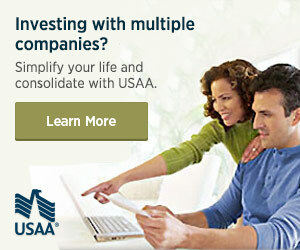 Want to save more money out of your paycheck before it’s ever deposited into your account? If you’re not already maxing out your 401K then contributing more to your employer-sponsored retirement account would be a great way to downsize your available paycheck funds while supercharging your savings strategy. Even if you’re not living paycheck to paycheck and have some leftover funds for spending on whatever you want at the end of each pay period, contributing more money to your 401K will pay off in dividends (literally!) when you’re ready to retire. Whether you’re already good about saving money and simply want to attain bigger financial goals or you’re a habitual overspender who’s trying to cut back on discretionary spending, you can’t go wrong with a new and improved dedication to your budgeting plan, visualization strategies to keep your eyes on the prize, a possible side hustle to supplement your regular paycheck, and greater contributions to your 401K. Do you keep your paycheck and discretionary spending separate? What’s your favorite ways to separate the two? Great tips! I also like to utilize direct deposit to help me divide out my paycheck. I only have part of my paycheck deposited into my checking account (bills + spending money) and the rest goes to a savings account for long term goals (down payment, car, emergency fund, etc). This helps me because I only see a small balance in my checking, while the savings keeps piling up!